With nearly three feet of snow on the ground in Reston, naturally it is time to think Summer. 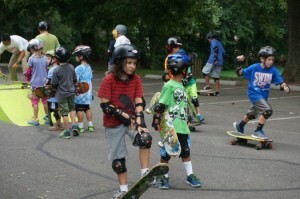 Registration for Reston Association camps opens Monday, Jan. 25 for RA members. RA has a wide variety of camps — from Nature Tots for preschoolers all the way to teen camp. Wilderness Camp — Campers ages 11 to 16 will learn valuable outdoors and camping skills. To see more offerings, including traditional Day Camp and Junior Day Camp, view RA’s program guide online. To register for camp, go to to the Marketplace section on the RA Website. Neighbors Need Help Shoveling; Can You Lend a Hand?